If Puerto Banús is the Costa del Sol’s sybaritic playground, then Nueva Andalucía is its chill-out lounge. Neighbouring the Banús resort, it stretches inland from the sea, over undulating terrain that is dotted with lakes, backdropped by the imposing La Concha mountain peak and fringed by celebrated golf courses. This is where the silently rich and famous prefer to live. While Puerto Banús grabs the headlines and attracts the more active holidaymakers, the relative seclusion of Nueva Andalucía offers relief from the party spotlight. 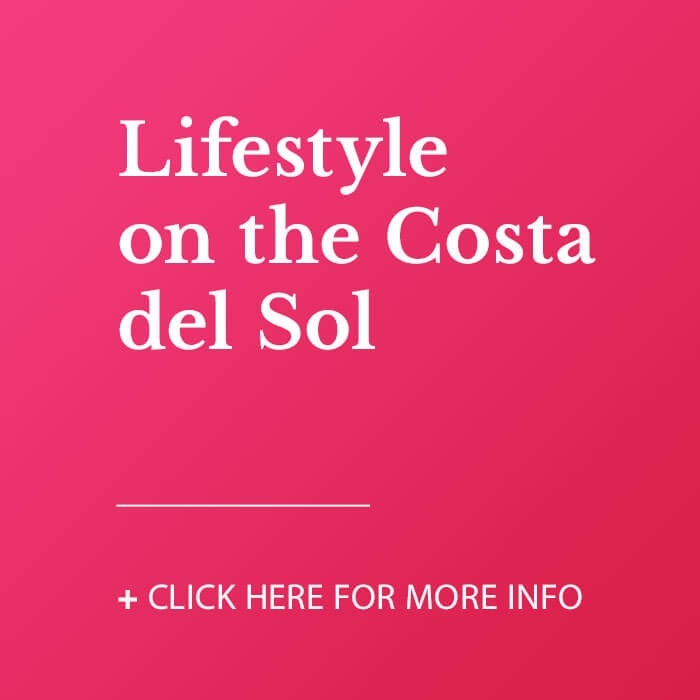 It is characterised by humongous villas, exclusive gated communities and swathes of luxurious apartment complexes, creating a community that enjoys all the benefits of relaxed Costa del Sol living while still being close to the area’s tourist-orientated hustle and bustle. For a prospective expat, Nueva Andalucía has everything you are going to need – and more. When driving or strolling around Nueva Andalucía, one of the first things that strikes you is just how pretty everything is. Think Beverly Hills but with the inherent grace and charm of Andalucía: white-washed and terracotta villas shimmer under the perennial blue skies, while tall palm trees and the mountainous backdrop create an idyllic setting that seems torn straight from a fairytale book – albeit one that comes complete with ubiquitous Porsches, Ferraris, Bentleys, Maseratis and Lamborghinis idling in front of chic restaurants and swish gymnasiums. What you will also notice is just how peaceful Nueva Andalucía is. The Mediterranean is right there below, but the waves cannot be heard. The vibrancy of Puerto Banús is a 10-minute walk away, but the noise and the crowds rarely venture this far inland. Even the hotels are situated as close to Banús as possible, leaving the rest of the residential estate free to be enjoyed by the locals and holiday home owners. In fact, Nueva Andalucía has all the ingredients that comprise most people's idea of a “dream life” in Spain: a spacious apartment with swimming pool; Mediterranean views; a healthy outdoor lifestyle; an easy transition into the Spanish way of life, without having to relinquish the comforts of home; and a tranquil atmosphere that is ideal for raising a family, or for retirement. Although a car is handy for Nueva Andalucía, often the best way to experience its charm is on foot. While hilly, much of the terrain is easy to stroll across, with some splendid views available, particularly those from atop the hill near Magna Marbella Café, where both Puerto Banús and San Pedro de Alcántara can be viewed. Head farther inland and there is a lake and scrubland to enjoy, these days encased by stylish developments. For families with young children, Nueva Andalucía is an enticing option. Aloha College is a renowned international school for ages three to 18, while Aloha Gardens Multi-Sports Club offers daily tennis, netball, basketball, pádel and football classes for kids – and adults – of all ages. 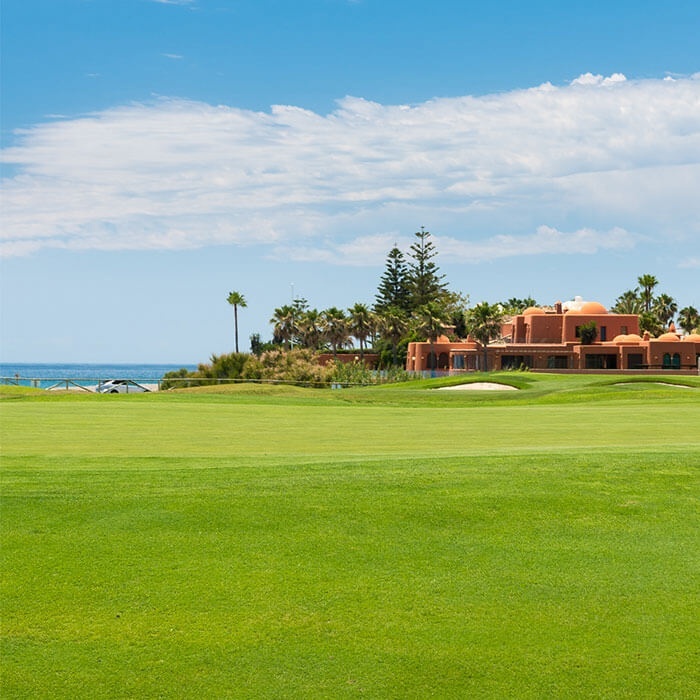 Keen golfers will enjoy the challenges posed by the excellent Las Brisas, Aloha, Los Naranjos and La Quinta courses, and Centro Plaza Shopping Centre has plenty of restaurants, salons and cafés that are ideal for ladies who lunch. And, to top it all off, a large open-air market is held every Saturday. In the evenings, Nueva Andalucía residents have the choice of “heading into the port” – to Banús’s hedonistic nightlife of super-nightclubs, outrageously glamorous lounge bars and fun-filled pubs – or staying local. If the latter, there are some excellent late-night bars that attract an effervescent and affluent crowd, and occasionally some jazz or other live music, and a wonderful array of fine-dining restaurants.